Please help us carry on the tradition of honoring Ramai Prabhu’s birthday by attending mangal arotik this Friday. It begins at 5:30 in the morning. 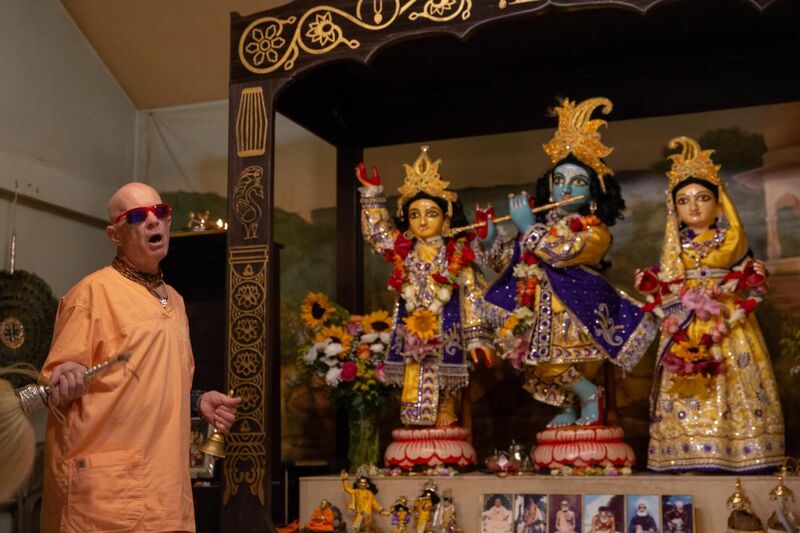 After arotik the regular daily program involves singing the morning kirtans together, Srila Janardan Maharaj’s class on Sri Chaitanya Charitamrita at 8 am, and prasadam after that. Stay for as little or as long a time as you’re able and inspired to. Appearance of Srila Bhakti Pavan Janardan MaharajVaidehi Normand is collecting short written offerings for Srila Janardan Maharaj. You can reply to this email and we’ll forward your message to her, or you can contact her directly. February 16th: Appearance of Lord Varaha and Paran 7:06-10:39 after worship of Lord Varaha.February 17th: Appearance of Sri Nityananda Prabhu. February 24th: The 146th divine appearance festival of the founder of the Sri Chaitanya Math and worldwide Sri Gaudiya Maths, Bhagavan Sri Srila Bhakti Siddhanta Saraswati Goswami Prabhupad. March 21st: Sri Gaura Purnima. Divine appearance of Sri Gauranga. Total fast until moonrise, then no grains. Grand festival at Sri Chaitanya Saraswat Math.